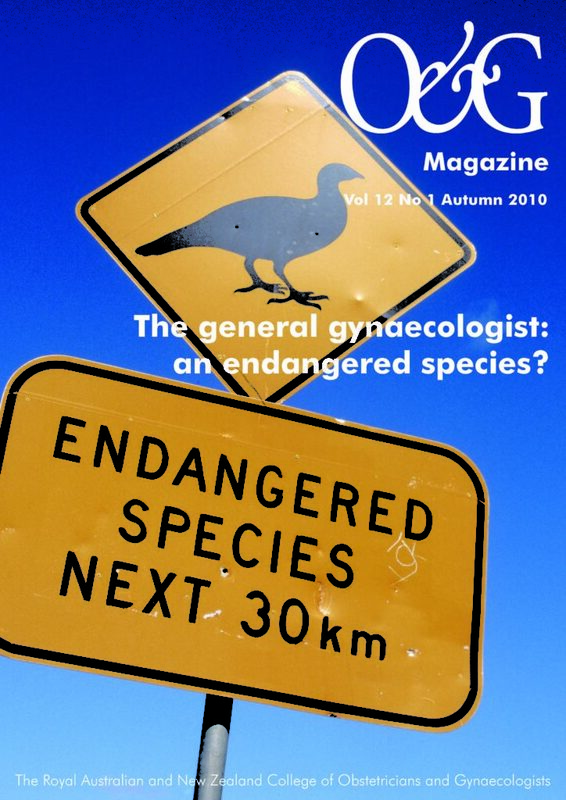 The general gynaecologist: an endangered species? Should the specialist gynaecologist provide a fertility service? This article is 9 years old and may no longer reflect current clinical practice. Casting a weather eye over the RANZCOG overview of CREI subspecialists, we gather a number of interesting facts. CREI subspecialists are Fellows of the College who are competent in the comprehensive management of patients with reproductive endocrine disorders and infertility, for example. Well, at least part of their work must be within a professional setting that provides a comprehensive service for patients with infertility or gynaecological endocrine disorders. Hang on, that actually sounds a bit like us. These comprehensive units may be within private or public hospitals. There aren’t too many units within public hospitals, so presumably lots of good work is going on in private settings. And, lastly, the clincher: ‘It is not intended that only persons with their CREI should treat infertile couples.’ There it is in writing – Fellows who haven’t done their CREI are officially allowed to treat infertile couples! Couples with a fertility delay who live in large metropolitan areas are often well-served with a veritable carte blanche of subspecialists upon whom to call. Move away, though, and the choice narrows quickly. Certainly, it might be worth the long drive (or flight) from a provincial centre to seek an opinion, but where does that leave a couple if they need treatment? Driving past a local unit? Suggesting that only CREI subspecialists should provide higher-level fertility care is, in our opinion, a complete furphy. Were that the case, fertility services would collapse in Australia. Let’s find some common ground, though. The Fellow who is involved in fertility treatment must have some interest in the field to begin with. Fertility management can be a highly specialised area requiring dedication and, unquestionably, additional training and experience. Things change rapidly, so a planned program of ongoing education in the field is important. Then let’s not overlook the fact that the Reproductive Technology Accreditation Committee (RTAC) goes to the trouble of visiting fertility units and carefully reviewing their protocols and results, with a view to ensuring that high standards are met. It is impossible to provide services such as insemination and IVF without being part of such a unit, so there is every incentive to carefully adhere to appropriate standards of care. Perhaps there is something special about the tests that subspecialists undertake for their patients. Certainly, most specialists can arrange the necessary testing. Should important conditions that require surgery be identified, then a skilled and dedicated endoscopic surgeon is appropriate. The level of surgical expertise required for this mitigates against CREI subspecialists. This could also be said of the more serious endocrine problems encountered in fertility practice – they are likely better handled by an endocrinologist. The key to good treatment is good cross-specialty relationships and a keen eye for detail. The basic procedures of IVF, for example, are incredibly simple. Oocyte retrievals and embryo transfers. 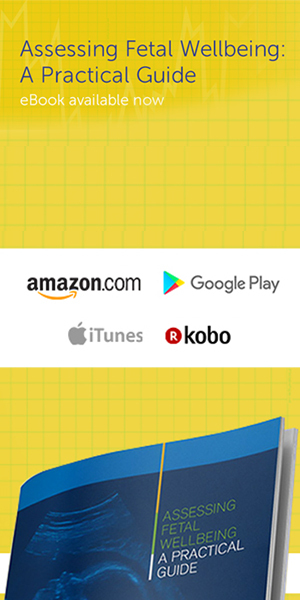 Even the days of laparoscopic oocyte retrieval or gamete intrafallopian transfer (GIFT) are long gone. The real strengths lie in the embryology expertise available and careful matching of patient to treatment. Therein lies the real challenge. Like any procedural speciality, continuing confidence comes with regular clinical work. Only when there is a sufficient clinical workload will confidence blossom. And one of the great benefits of working in such a unit is the meticulous review of outcomes – pregnancy rates per transfer, or cycle initiated, or whatever. Don’t work in assisted reproduction if you don’t like having your results audited and gleefully picked over by your colleagues! There are a number of other unstated advantages the specialist gynaecologist has over the subspecialist colleagues. Often, there is a longstanding and comfortable relationship, essential when potentially stressful treatment is being contemplated. Particularly in non-metropolitan care, the specialist is also in a position to manage the eventual pregnancy and delivery. to subspecialist advice and the facility for tertiary referral for the occasional perplexing case is surely all that is required most of the time. The mere fact that most fertility units have good results in the annual reports and so few of the practitioners are subspecialists, speaks volumes. The main disadvantages we could think of were that infertility patients might feel uncomfortable sitting in waiting rooms with pregnant women. But they face this risk walking down the street, or in their own workplace. of having cancer specialists managing low-grade Pap smears. Enthusiastic Fellows of the College who are working with accredited fertility units, particularly when services are provided to couples with more limited access to tertiary facilities in major urban areas, are the way to go. Is the general gynaecologist an endangered species? What does a gynaecological oncologist expect from the specialist gynaecologist? Gynaecological oncology: Where does the non-subspecialist fit in?